Dan is the New Zealand editor of Gameplanet. One of our favourite RPG's, Jade Empire may just be getting a remaster, or if the gods permit, a full-blown sequel. 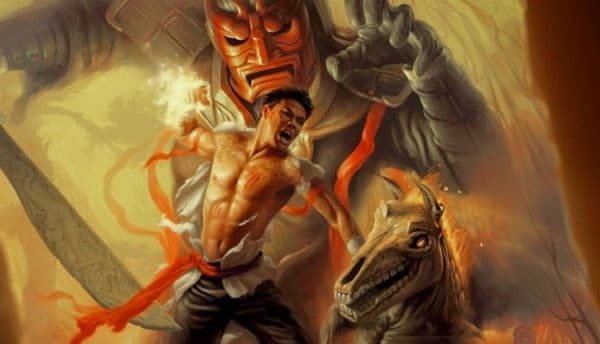 News broke via PCGamesN that EA recently filed a new trademark application for Jade Empire, an arguable cult classic Bioware RPG released all the way back in 2005. It's entirely possible that EA is just cleaning house and is making sure that all of its IPs are up to date. However, fans (and myself) have been clamouring for a new entry in the beloved martial arts series for over a decade, so it would make sense for EA to fan the flames with a sequel or remaster. Bioware is currently finishing up with Anthem, which is set to release on February 22, so it would make sense for the majority of the team to transition to a new project once it's released, with a smaller team staying on Anthem duties for content updates and fixes. While we don't have any other news or confirmation at this stage, we're hoping the series makes a comeback. It'd be a great launch title for the next-gen systems and would definitely generate some decent buzz. If you're listening EA, please make it happen. Would you play a remaster of Jade Empire or would you prefer a brand new entry?